Malaysia Airlines flight MH17 crashed in Ukraine reportedly near the Russian border. Here's a video of what appears to be smoke from the wreckage. The Boeing 777 plane was traveling from Amsterdam to Kuala Lumpur at an altitude of 33,000 feet on Thursday, July 17, 2014 (Manila time) when the incident happened. Anton Gerashchenko, adviser to Ukraine's interior minister, posted on Facebook: "A civilian airliner travelling from Amsterdam to Kuala Lumpur has just been shot down by a Buk anti-aircraft system. 280 passengers and 15 crew have been killed." The airline company has confirmed the crash on Twitter: "Malaysia Airlines has lost contact of MH17 from Amsterdam. The last known position was over Ukrainian airspace. More details to follow." Earlier, there have been reports that separatist leader Igor Strelkov made a stern warning, saying: "We did warn you - do not fly in our sky". 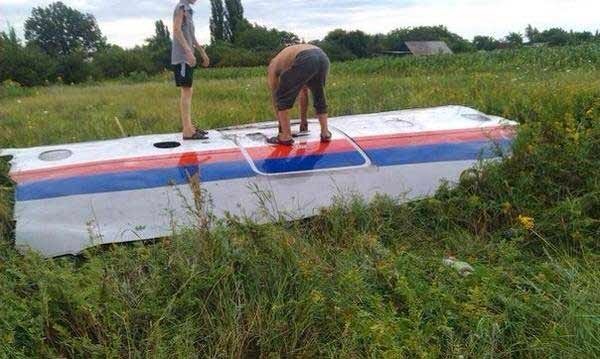 The Ukrainian government said it will investigate the "airplane catastrophe". Malaysian Prime Minister Mohd Najib Tun Razak, meanwhile, expressed shock over the tragedy. He tweeted: "I am shocked by reports that an MH plane crashed. We are launching an immediate investigation."